Lennox Linton, the United Workers Party (UWP) political leader is calling on Dominicans to stay away from "two independence events, the National Youth Rally and the National Day Parade" and to "peacefully protest the unconstitutional installation of legendary divider, hater, boycotter and persecutor Charles Savarin to the post of President of Dominica"
Linton made that call at a press conference at the party headquarters in Roseau this morning. According to Linton, Savarin was dictatorially imposed as President with guns of the police turned on the people just in case they wanted to exercise their democratic right to assemble in numbers to "tell their Government that the unconstitutional appointment of an absolutely unsuitable person to the office of President was unacceptable." "As a person in public life, Savarin who boycotted the inauguration of former president His Excellency Vernon Shaw has been persistently vindictive, irrational and uncivilized especially in his belligerent advocacy of severe state endorsed punishment for those who express views that he does not like," Linton stated. He further stated that this was "not a boycott of the Independence celebrations". 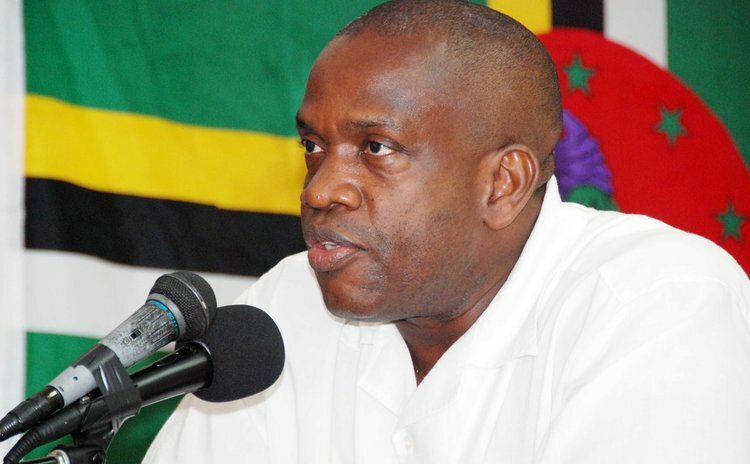 "It is a principled people's stand for the Constitution against Roosevelt Skerrit who once again violated the Constitution to make an unacceptable presidential appointment and Charles Savarin who accepted the appointment knowing that it was unconstitutional and knowing that he is too destructively partisan to serve as the embodiment of the State," the UWP leader remarked. Linton said the boycott will send a clear message to Skerrit and Savarin that "we stand firm and without compromise against their disrespect and abuse of our constitution for their selfish and political gain."